Jag har kommit hem från Mali, full av inspiration, förvirrad över livet, glad och spänd inför framtiden. Allt rullar på och det känns som att mycket händer på samma gång just nu. Denna veckan håller jag en lovkurs för barn på cirkusskolan i Bryssel, till helgen coachar jag unga artister i parakrobatik inför deras föreställning och nästa vecka är jag tillbaka i London för att färdigställa föreställningen "Bench" med kompaniet Mimbre. Vi kommer att ha premiär den 12 april i London men redan nu kan man köpa föreställningen till denna sommars evenemang! ... and a woman sits on the bench, watching the world pass by. Bench is Mimbre’s new show for 2014, an outdoor show with 3 performers, easy to tour, portable and suitable for any public space or event. It is about the everyday dance of life, our urban landscape, and a cavalcade of characters who come and go; viewed through the eyes of a woman who observes, makes friends, confronts or ignores the people who pass… occasionally turning upside down to see if the world looks better from that angle. 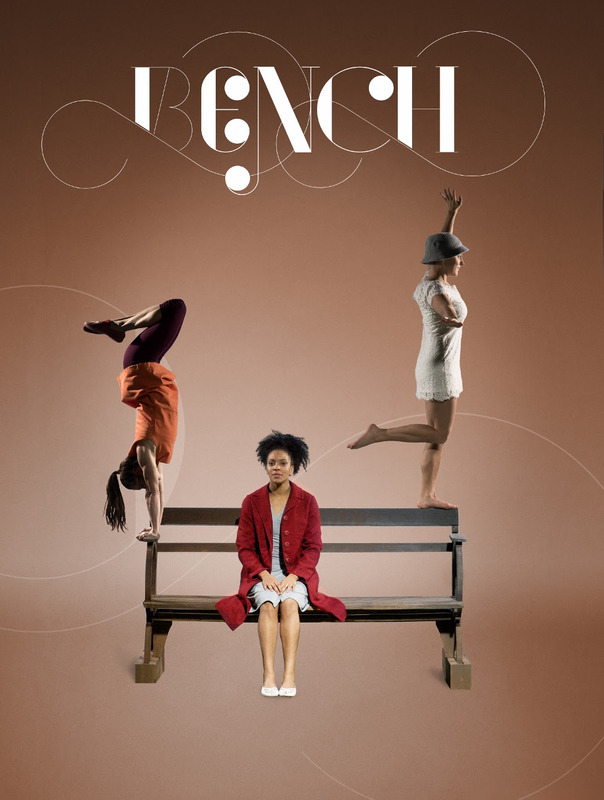 Bench, set directly in the urban landscape where it will also be performed, is a series of sketches bound together by our silent narrator, talking through movement and acrobatics, and accompanied by a beautiful score. Three performers will magically transform between ages and gender, caricatures and characters; spell-binding movements will be mixed with mundane moments and brief encounters. The variety of people passing through our city life will be viewed and encountered through the prism of the main character and the bench she has appropriated. Each character-transformation creates a small choreography (sneaking under the bench to change into a dress, falling over the armrest to get out of a jacket, jumping into a headstand to fit into a cap…) and each character brings another sketch and snapshot from real life, commenting on the theatre happening around us every day – if only we looked! The show is directed by Mimbre's Artistic Director Lina Johansson, with an original score composed by Ted Barnes - his “songs are like glass marble worlds that clink next to each other and should be put in your pocket and carried around with you all day” (Kathryn Williams). The Bench set is carefully designed and cleverly crafted by Michalis Kokkoliadis - ‘ingeniously simple set design, aided by an appropriate sprinkling of make believe’ (Eastern Daily Press). For a peak into the rehearsal room, watch this video! The show will première in London on April 11th and 12th, hosted by GDA and Trinity Labanas part of their Compass Commission for the show - for more details and if you'd like to come, please RSVP as soon as possible! If you are interested in booking this show, please contact us on info@mimbre.co.uk.